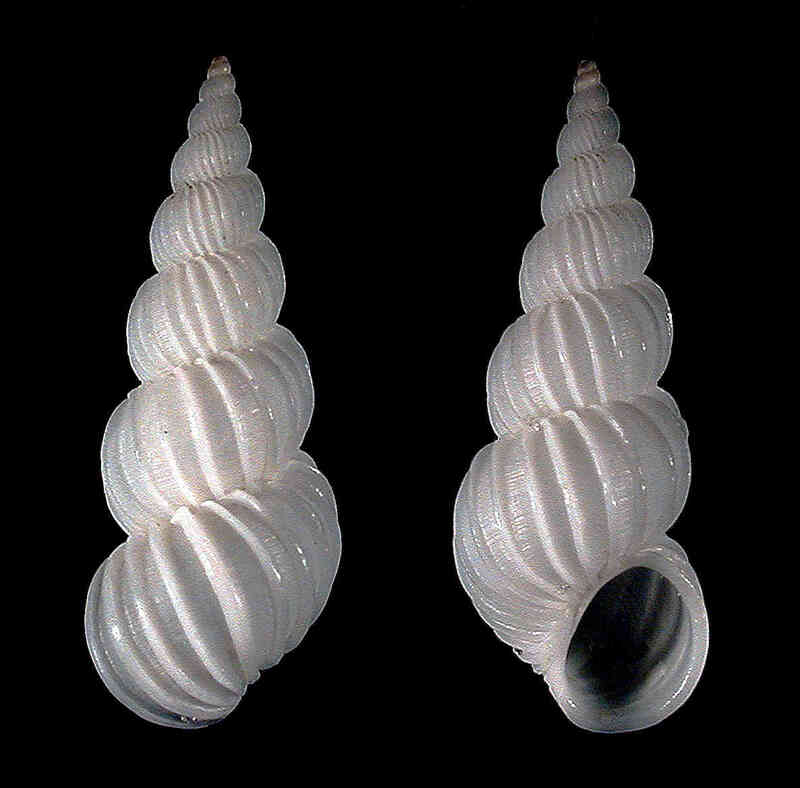 Shell size to 14 mm; shell light, elongate, without umbilicus.Sculpture of about 13 to 18 costae on body whorl, more costae on earlier whorls. Aperture elliptical. Color porcelain-white. Differs from E. multistriatum (Say, 1826) (Atlantic U.S. coast) by consistently smaller and narrower shells, and by having whorls coiled more tightly together.